The customs agreement and the payment of a vast divorce bill remain the main sticking points in London’s stuttering Brexit talks with the EU. 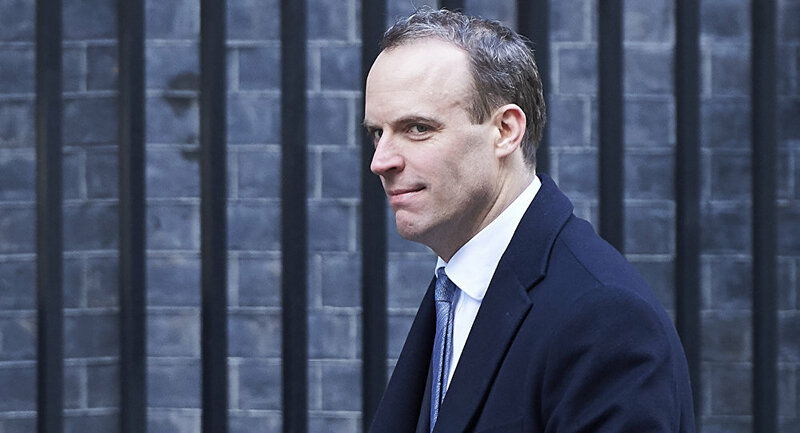 Britain’s new Brexit Secretary Dominic Raab has warned that London will not pay its £39 billion ($51.2 billion) divorce bill to the European Union if Brussels does not agree to a trade deal, The Telegraph wrote on Friday. “You can’t have one side fulfilling its side of the bargain and the other side not, or going slow, or failing to commit on its side. So I think we do need to make sure that there’s some conditionality between the two,” he argued. Under the plan, the UK would retain close links with, and access to, the EU single market for goods by following a common rulebook with the EU. A number of pro-Brexit MPs had earlier threatened to propose amendments to the government’s Brexit roadmap. On Friday, the EU’s chief Brexit negotiator, Michel Barnier, said the “facilitated customs arrangement” raised practical, legal, economic and budgetary questions and suggested that splits in the Conservative Party could force May to go back to the drawing board. Referring to his Thursday talks with Dominic Raab, Barnier voiced concern that European businesses would face higher administrative costs and that under May’s plan, the UK would maintain regulatory alignment on agricultural foodstuffs and industrial goods. The United Kingdom is currently part of the EU single market but if London leaves it after Brexit, Britain will have to negotiate new trade deals with its partners, including the United States. EU Officials' Pensions & Greek Hotels: What Will Brexit Divorce Bill Cover?